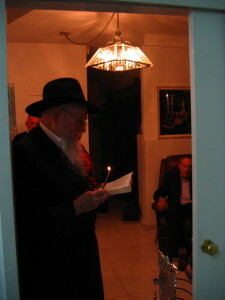 Last Year Shabbos Chanukah in Rabbi Kugel’s House in NYC. Good Shabbos & Happy Chanukah!! You can send birthday wishes for him to leviasherb@gmail.com A freilechen Chanukah!! Thank you Dovid Junik for the pictures.